Medical topics discussed by Charles Anthony whose work through undergraduate and postgraduate university study has been in radiology- medical imaging and diagnosis with radiography and sonography. 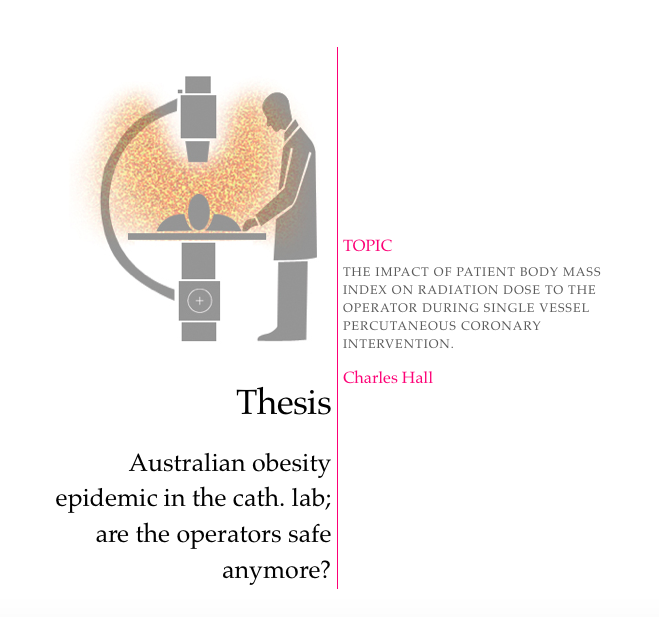 Article by Charles Anthony: The impact of patient body mass index on operator radiation dose during single vessel percutaneous coronary intervention in the cardiac catheter laboratory. View abstract. Free radicals are unstable chemical species, highly reactive, being formed by cellular entities of different tissues. Increased production of these species without proper effective action of endogenous and exogenous antioxidant systems, generates a condition of oxidative stress, potentially provider of skin disorders that extend from functional impairments (skin cancer, dermatitis, chronic and acute inflammatory processes) even aesthetic character, with the destruction of structural proteins and cellular changes with the appearance of stains, marks and lines of expressions and other signs inherent to the intrinsic and extrinsic skin aging process. The antioxidants are chemical substances commonly used in clinical practice for topical application and may contribute in the fight against the radical species responsible for many skin damage. This paper summarized the main evidence of the benefits brought by the topical application of antioxidants in the skin, considering the amplitude of the indicative performance of antioxidant activity by in vitro and ex-vivo tests as well as in vivo tests. It is recognized that a breadth of product performance tests should be explored to truly identify the effectiveness of antioxidant products for an anti-aging effect. The better way would be to never get sick? The mind has an incredible and veritable effect on the body. Our thoughts directly affect our physical state. With this in mind, therefore, anything for our health is possible. Our mind, to where does it pertain in the physical anatomy of our brain? Amongst the specialities radiology provides an excellent insight into the physical architecture of the brain, and its function, to an extent. But where does the thought start and finish? Where does it come from? And how is it then affecting our body? Modern medicine is curing disease in marvellous ways, I particularly like the aspect of medicine which involves directly repairing and restoring normal body function, but, before getting to such a point requiring medical intervention, certainly we could have control over our physical health status, starting primarily with the mind and emotions. More thoughts to come on this. cf energy and non-verbal communication.